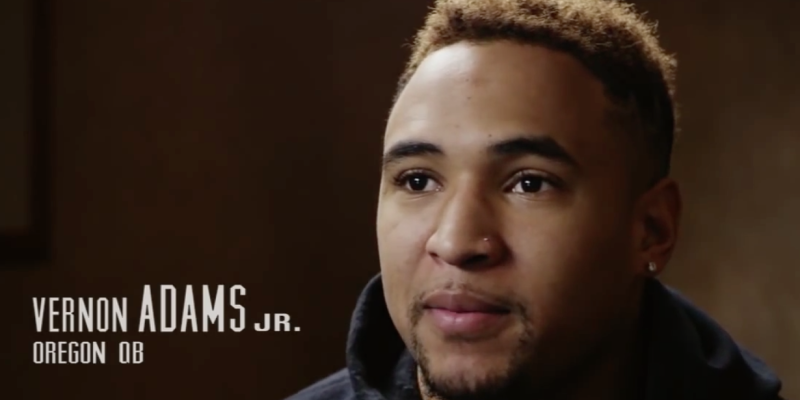 It’s not news anymore – Vernon Adams Jr., former Eastern Washington Eagles standout quarterback, has decided to transfer to the University of Oregon for his final season of eligibility. And you might think this decision is one of instant joy and satisfaction, but you would be wrong for thinking that. George Schroeder of USA TODAY Sports put together an in-depth piece on Adams, and what his life is like since his decision to transfer. You can read that article here. For those who are unaware, Adams can’t officially transfer until his current school year at Eastern Washington has ended. Adams spend most of his time on campus completing his classes, wherein the most difficult part is finding partners to workout with him. Eastern Washington Head Coach Beau Baldwin officially banned Adams from all athletic facilities, making it hard for Adams to fulfill the workouts that the Oregon strength and conditioning team have assigned him. Don’t worry Mr. Adams, a better team wants you. See you at Autzen. 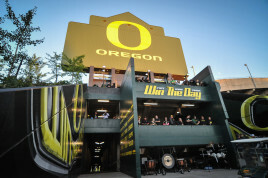 At this point, Oregon Head Coach Mark Helfrich and staff are waiting for the official arrival of Adams. In three seasons with the Eagles, Adams threw for 10,438 yards and 110 touchdowns with three appearances in the FCS playoffs, finishing with a 28-6 record. Despite his small size and lack of top level competition experience, the Ducks will be better off with Adams. What makes this so intriguing is that Adams torched every Pac-12 team he has ever played. He led his team with 993 yards of total combined offense in an upset win over Oregon State in 2013, and a nail biting 59-52 loss to Washington in 2014. There is no doubt that the talent is there for Adams, so will he be able to hone his craft under the tutelage of Helfrich and staff? We’ll have to wait to find out, but there is no one who wants Adams in Eugene more than the QB himself. Ducks fans will always welcome someone who enjoys beating up on the Beavers. Beau Baldwineastern washingtonMark HelfrichOregon Ducks FootballVernon Adams Jr.